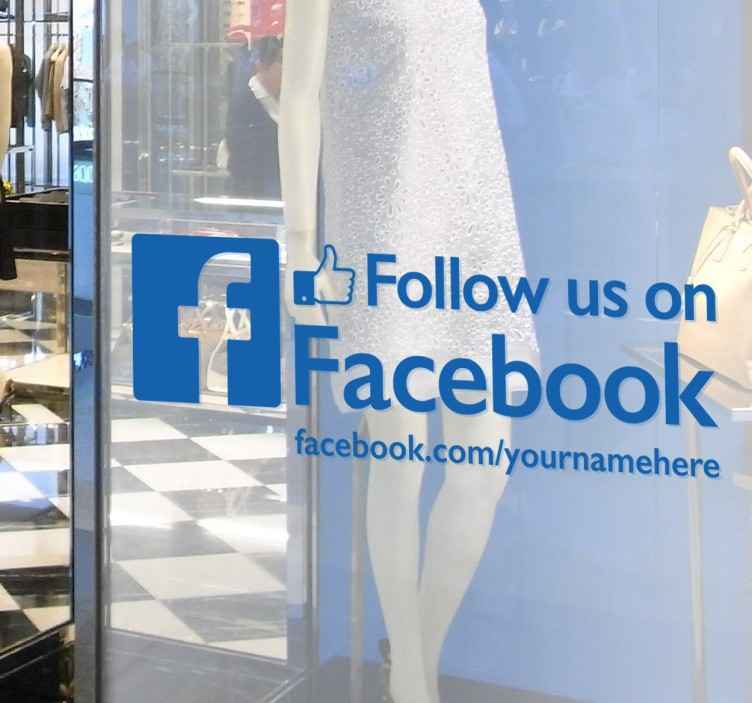 Business Signs - A great way for promoting the Facebook page of your business. High quality decals ideal for the windows of your store front. Remember to enter your Facebook link into the text box! Product was as listed - and looks great in our window. (We ordered the "Like us on Facebook" and customized with our company name. This is great!! Perfect decal! !